This year semester 7 Strategic Human Resource Management students of batch 2015 took an innovative approach along with their professor Dr. Supriya Pal to understand the theories of SHRM under practical settings. The activity was a graded assignment, after which a detailed report of their learning was submitted by all the students. The students tried to understand the functioning of the unorganized labor sector on the basis of their theoretical knowledge. Read More about "Observation-Participation Learning Experience"
Talk on "Investment Awareness and Options for Young Investors"
The Department of Social Sciences, School of Liberal Studies, organized a special talk on October 12th, 2018 on ‘Investment Awareness and Options for Young Investors’. The expert who conducted the talk was Mr. Siddharth Shah, the founder of Shalibhadra firm - an investment and brokerage firm. This talk was held while Economics minor students of Semester 7, Batch of 2015 were studying Indian Financial Systems and the objective was to expose students to real life scenarios of what they are studying in classrooms. Not only did they see what they are learning come alive, they also became well aware of an important aspect of adulthood rather early on in their lives - investment. The talk saw participation from students across the four batches of SLS. Read More about "Investment Awareness and Options for Young Investors"
Department of Economics, SLS organized its Annual Talk series on ‘UNION BUDGET 2018-19’ on 8th February 2018 and invited Dr Kshamanidhi Adabar, Faculty, Central University of Gujarat. The expert spoke on different implications of the budget announcements for the education sector, social sector, health sector, fiscal revenues, industrial sector, agricultural sector, etc. Ms Sakshi Vyas, an Economics Major student presented the highlights of the budget during the event. The Department of Languages, Literature and Aesthetics, School of Liberal Studies held an event ‘A TRIBUTE TO VS NAIPAUL’, on the 28th of August, 2018, commemorating the departure of the award winning and world renowned writer by discussing about his life and literary oeuvre at Pandit Deendayal Petroleum University. Dr. C Gopalkrishnan, Director General, PDPU, Dr. Ranjana Harish, former Head of Department of English, Gujarat University, Dr. Nigam Dave, Director, SLS, Dr. Neeta Khurana, Dr. Harmik Vaishnav and Dr. Pradeep Mallik were the guests for the event. Department of Economics, School of Liberal Studies organized its third Arth-samvaad Seminar on ‘Entrepreneurship and Life Cycle Management’ on 5th October 2017 at LH-6 room, Block D. Mr Sandeep Jena, a successful entrepreneur & Executive Director, APEXA based at Ahmedabad and Mr Siddharth Shah, founder of Shalibhadra brokerage firm were the special guests at the event. The objective of the event was to provide a platform to discuss the importance and challenges in taking entrepreneurship as a career goal and to understand the integrities of Life-cycle wealth management. The Department of Economics, SLS organized its fourth series of Arth Samvaad on 13th November 2017. The theme was ‘Behavioural Economics and its Applications’ and ‘Primary research in Social Sciences’. Two experts were invited to speak on the same- Dr Rasananda Panda, Professor at MICA and Dr Shamsher Singh, Post-Doctoral Fellow at IIM-A. The session focused on explaining students how primary and secondary data is used in social sciences and the importance of behavioural economics in understanding decision-making. The function of prize distribution and book release of the poetry competition “AMDAVAD UNBOUND” organized by School of Liberal Studies was organized in PDPU. School of Liberal Studies came up with a novel idea of organizing an open online poetry competition on the theme of ‘Ahmedabad’ for students of PDPU and people outside. We welcomed poems on the said theme in English, Hindi and Gujarati. People of heterogeneous age group and various walks of life including students, homemakers, doctors, professionals etc. participated enthusiastically. Wagh Bakri Tea Lounge, Buskers Corner, Ahmedabad Book Club, Syahee.com and Dig to Know were our knowledge partners, facilitated in promotion and pre-events. We also got the services of reputed people like Dr. Ranjana Harish an eminent academician of Gujarat, Dr. Shyamal Munshi an eminent poet and singer and Dhvanit the reputed R J of Radio Mirchi and a poet to judge the poems. School of Liberal Studies is also proud to publish this anthology which is the first of its kind wherein the citizens of a city wrote poems about the city. Artson Publishing House agreed to partner with us as complimentary publishing partner and they would publish the anthology. The panel of internal judges filtered around 135 poems for publication into an anthology. There is also a section of invited poets wherein Dr. Nigam Dave, Dr. Shyamal Munshi, R J Dhvanit, Rakshit Pandit- poet and columnist and Vaishakh Rathod- poet and dramatist have contributed on the theme. The students’ team of School of Liberal Studies worked relentlessly to make the competition and the publication a grand success. The book is available for purchase on www.amazon.in. Ninad Parikh won the 1st Prize followed by Nitya Jadeja as 2nd prize winner and Yash Parikh as the 3rd prize winner. There were also five consolation prizes. A 'Gandhi Day' was organized at SLS recently as a part of a course for the first year students on Conflict Resolution: Gandhian Way of Non-Violence. Prof. Sudarshan Iyengar, former Vice Chancellor of Gujarat Vidyapith, gave the keynote address. His explanation of the Gandhian method of Conflict Management through the 'Gandhi calling Gandhi', referring to the spiritual calling within each of us, made the content very relatable by all age groups. Khadi was the preferred garment of the day and it was heartening to see almost all students and faculty members coming to the university wearing Khadi garments. Later in the day, students from Gujarat Vidyapith came with Charkhas and demonstrated the art of spinning Khadi. Many SLS students joined them in this interesting endeavor. An interactive session with Professor James Fishkin, Stanford University, on the topic “Making Deliberative Democracy Practical” was organized by Dept. of International Relations in collaboration with South Block. Prof. Fishkin discussed various case studies in different parts of the world and highlighted the importance of sampling and other variables in the process. 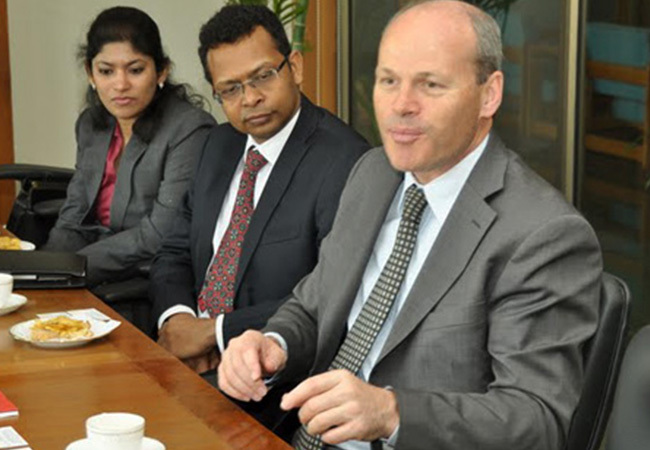 He told participatory democracy is the cardinal virtue of community development and India is a unique model which can draw best practices in other parts of the world to further strengthen its democratic ethos. SLS and UNICEF Gujarat organised a Civil Society Consultation event for developing a Plan of Action for Children (SPAC) drawing inferences from the National Policy on Children 2013. 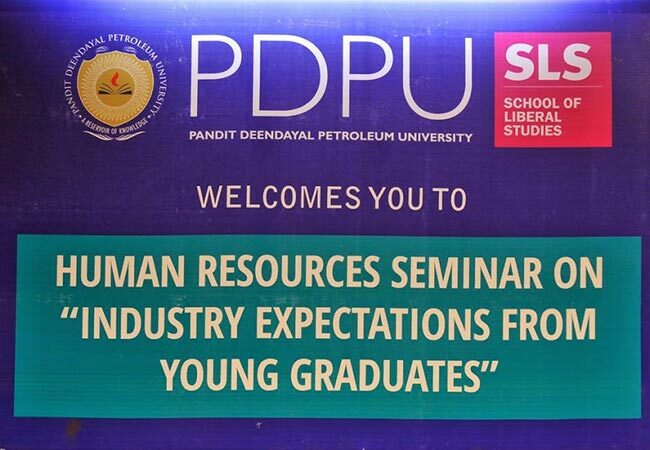 Around 60 civil society members and 50 academicians participated in the event on PDPU campus. The deliberations aimed to help streamline the orientation on the draft National Policy on Children 2016 with the objective to facilitate orientation for stake-holders on the National Policy on Children; and to draw inputs and inferences for a State Action Plan for Gujarat with the Civil Society and stake-holders. Department of Psychology at SLS organized a workshop on “Psychometric Tests”, between 17 - 24 October, 2016 for Psychology students of batch of 2014. The workshop conducted by Shachi Barot (PhD scholar ’16) and mentored by Dr. Ritu Sharma, Head of Department of psychology. The workshop aimed to educate students of applied and clinical psychology about different experiments to test individuals motor learning, verbal learning, problem solving, IQ measuring tests, Letter – digit substitution test, whole versus part method of learning of verbal and motor learning, mirror tracing test for eye-hand coordination learning, trial and error with maze learning and pass along test to measure IQ. In this workshop Students have shown their participation with full attention and enthusiasm to learn. The workshop was facilitated by student lab coordinators, Nishi and Trishla. We hosted a delegation of media persons from Chandigarh and Punjab. The interaction was wonderful and we are grateful their appreciation of the university’s endeavor towards maintaining a conducive campus environment and innovative education practices. We are thankful for Press Information Bureau (PIB), Govt. 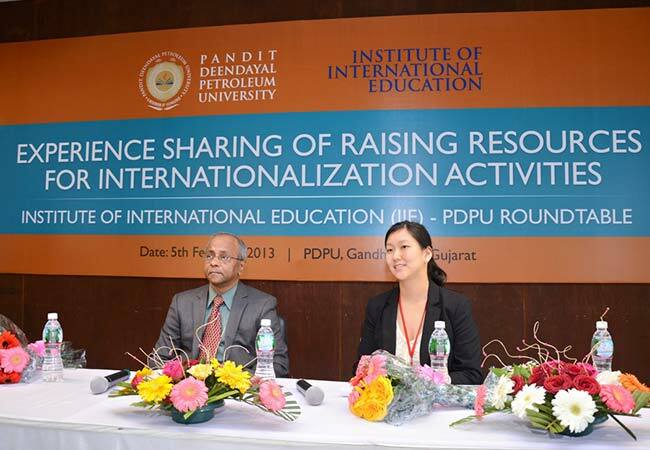 of India, for bringing the delegation to PDPU. SLS hosted a Teach for India event where a bunch of 100 amazing children spent a day at PDPU campus. Most of these students come from lower income groups. SLS students assisted the TFI faculty in teaching the students and playing sports with them. TFI is doing amazing work in contributing to providing quality and inclusive education to all, and also creating a platform for educated youth to contribute directly to nation-building by teaching and mentoring the next generation. The students were motivated and smart, and we loved having them on campus. The PDPU Basketball (Girls) team defended their championship title successfully at Shaurya – The IIM Ahmedabad Annual Sports Fest. Congratulations on their successive victory! Dr. Harmik Vaishnav, Asst. Professor, Dept. of Languages, Literature and Aesthetics at SLS, has launched his new book “Better Your English” (Publisher: PRABHAT PRAKASHAN, NEW DELHI. A 50 year old renowned publisher. Pages: 168. ISBN: 9788184304961). This book endeavours to make the speaker or writer who uses English language frequently aware about certain technicalities of the language and its proper use. English language is like a double edged sword, if used well and properly it will create a favourable impression in professional and social arena and if not used properly i.e. crude language, it will create negative image of the communicator. A person who has had education in English medium may also sometimes slip into the pitfall of technicality; this may be out of practice and habit or because of not knowing the exact use. This book is not a basic course in English but beyond that which will be useful for regular users of English language and even for beginners. For this purpose, the book is useful for students of various disciplines, professionals, teachers, researchers and any person interested in English language as well as English communication. SLS, PDPU and Safal Constructions Pvt. Ltd.(bSafal Group), initiated the first Intervention in Community Betterment Series at Bavaji Na Chhapra, Khokhra. It is a rehabilitated Slum in Ahmedabad. The Intervention series is a result of the Pre and Post Rehabilitation Impact assessment Project done by Ms. Neeta Khurana and Dr. Ritu Sharma of SLS, PDPU. The initiative has been supported by Director of SLS, Prof.(Dr.) Nigam Dave and that of Mr. Rupesh Brahmbhatt, MD bSafal Group who has been the driving force in taking the study to the intervention stage. Dr Ajay Chauhan, Medical Superintendent, Government Hospital, Ahmedabad, Dr. Rajendra Anand, Superintendent, Kanoria Hospital & Research Centre were the guest speakers. 200 residents of the rehabilitated slum, participated in the Mental Health Awareness programme and the poster making competition on the themes of “Ek Pahel Mansik Swasthya ki Aur” and “Beti hai to Kal hai”. A total of 169 poster entries were put up in the society in a designated Poster Exhibition. Simran Bhatia , Shachi Barot, student coordinators and volunteers Meenoni Daga, Nishi Shah, Trishla Surana, Sharon Kutty, Aesha Patel and Himja Trivedi worked tirelessly to make the program a huge success. Mr. Shailesh Shinde, the leader of the society and Ms. Payal Shinde, a resident of the society gave their feedback by a resident.